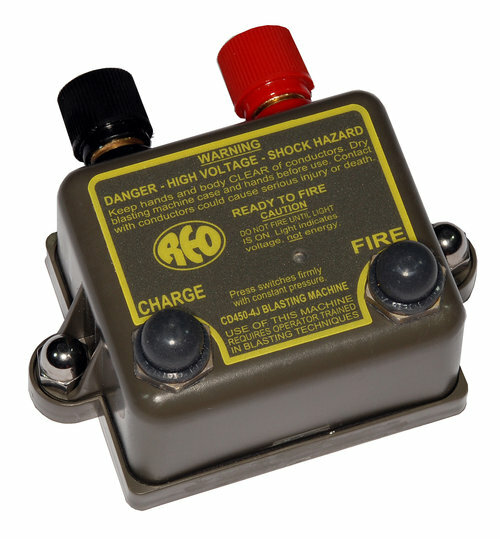 FIRES UP TO 65 DETONATORS: Commercial or military, 2 ohm wired in a single series, 12 ohm max. lead line, based on 20 mj/ohm delivered in 5 ms. RELIABLE: Blasting machine will not fire or discharge until fully charged to design voltage. ENVIRONMENTALLY SEALED: Water and corrosion resistant delrin case. FAST CHARGE: 1-3 second charge time using one 9V alkaline battery. LONG BATTERY LIFE: Provides more than 150 charge-fire cycles. Large easy-to-read digital display, user friendly. 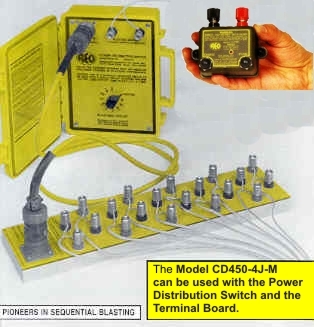 Speeds up circuit check-out and provides vital information necessary to assure a successful blast. Displays up to 199.9 ohms in 0.1 ohm increments. LOW BATTERY DRAIN: Provides a battery life of more than 2000 hours of tester operations. RELIABLE: Long battery life, rugged, water resistant enclosure and heavy duty terminals provide years of service. DELRIN CASE: No switches. Automatic on/off. APPROVED SALES: Direct factory sales to qualified national and international rated commercial and government organizations.